I couldn’t believe just how difficult it was to try and get my hands on some of these to try! I couldn’t find them in any stores but in the end placed an order through Superdrug online while they were offering free delivery (I don’t like paying delivery for anything, especially if I only want to place a small cheap order). 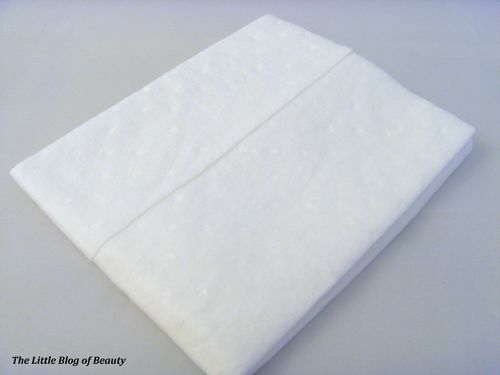 These are made of natural fibres and are designed to be softer than cotton wool and also to cleanse better than cotton wool. 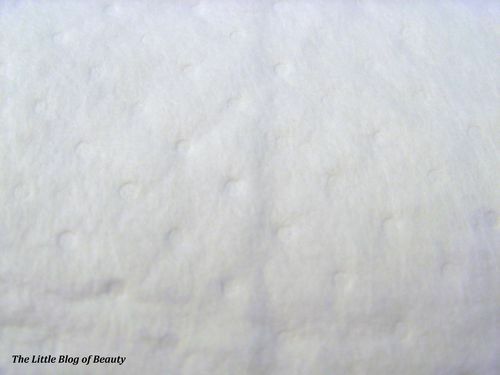 The cloths are about the size of a tissue and are kind of quilted which I have tried to show in the last photo. 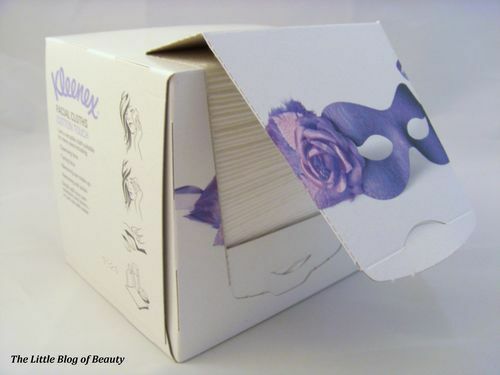 These can be used for cleansing, toning, removing makeup and also removing nail varnish. 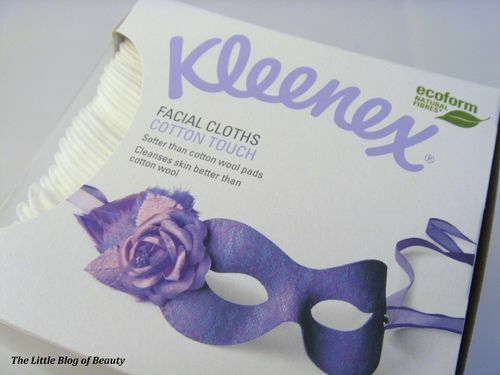 These are really soft and are a little bit ‘tougher’ than cotton wool pads in that they don’t start to stretch and pull apart as you use them. I would usually use two to three large cotton wool pads to remove my makeup but these are large enough to only need to use one. I find that I can often use one cloth for more than one purpose, like removing my makeup and then also removing my nail varnish. In fact I would say these are possibly too big for just removing nail varnish as you may be left with a lot of cloth which hasn’t been used which is a bit of a waste. 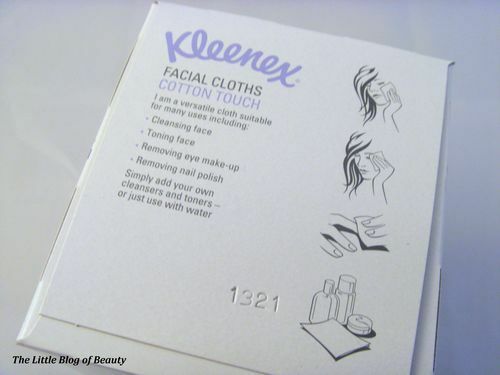 I think I would probably use these alongside cotton wool pads, using the facial cloths for removing my makeup and cotton wool pads for smaller jobs like removing nail varnish. 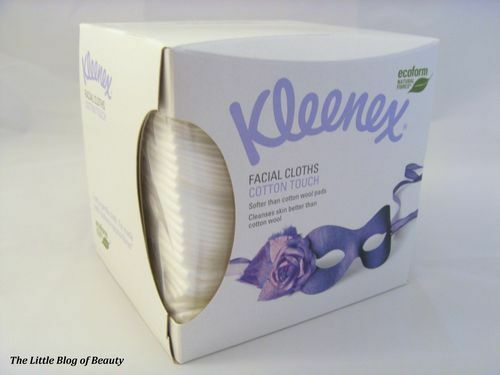 Kleenex Facial Cloths are £1.99 for 30 and are available in Superdrug stores and online.